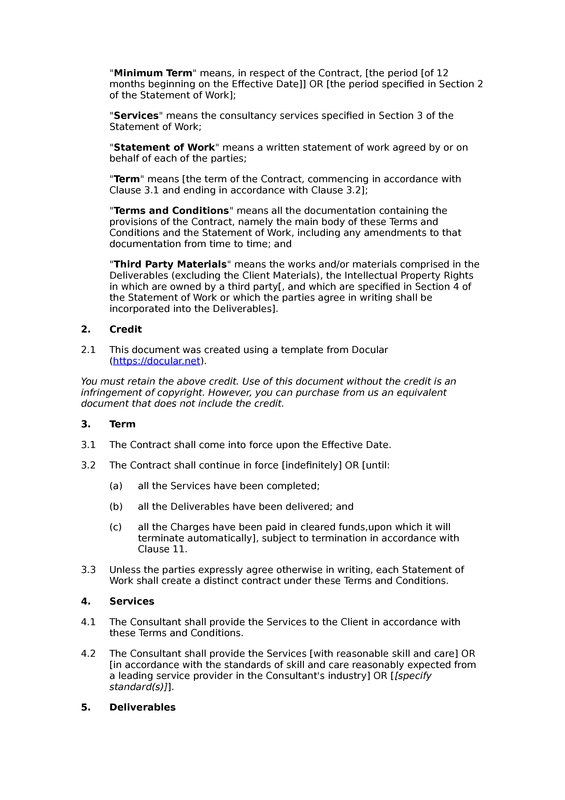 This is a short-form consultancy T&Cs document, which can be used free of charge if you retain the SEQ Legal credit. 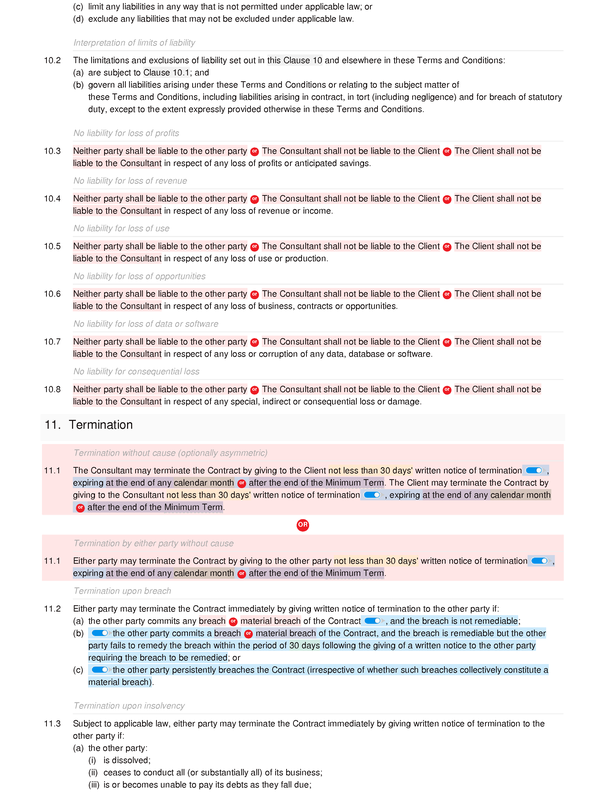 The template includes provisions relating to the services to be provided, the supply of deliverables, the licensing of rights in the deliverables to the client, the charges payable by the client, the status of the consultant, subcontracting, and much else besides. 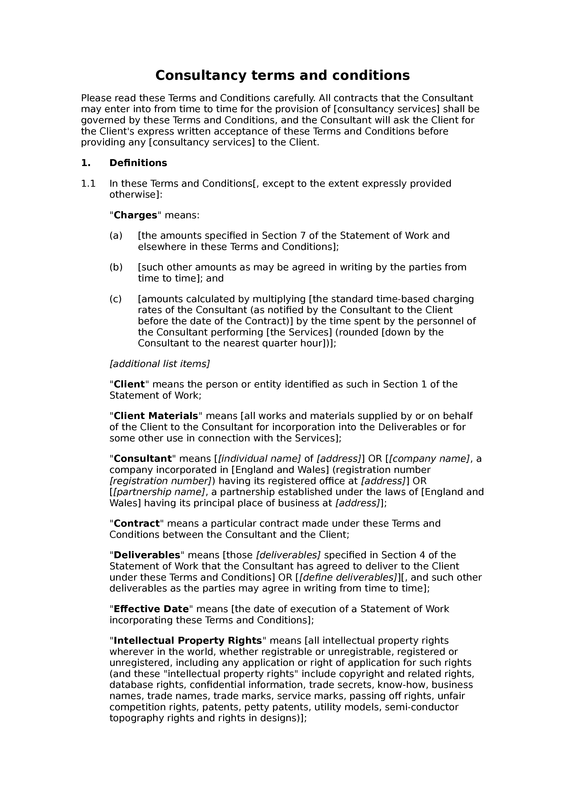 The particulars of each contract should be set out in a distinct statement of work, and a skeleton for this document is provided with the template. 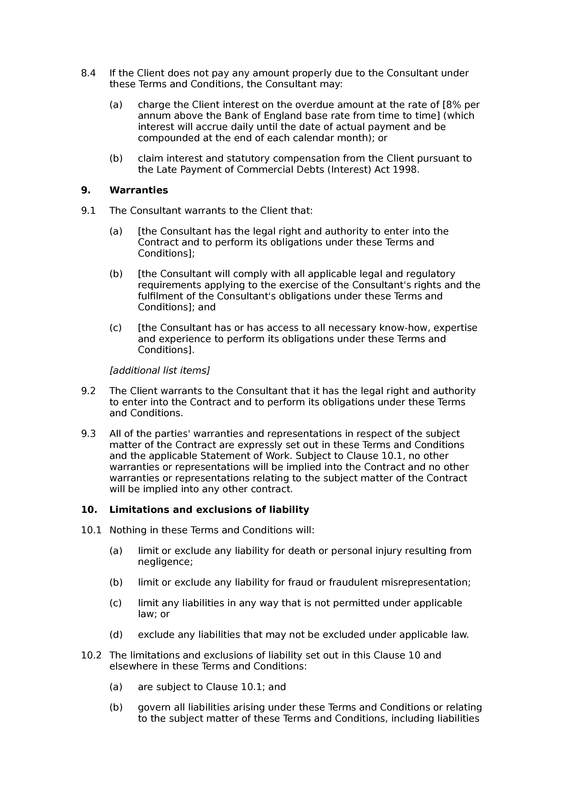 This T&Cs document contains the same substantive provisions as the free consultancy agreement document; only the form is different. 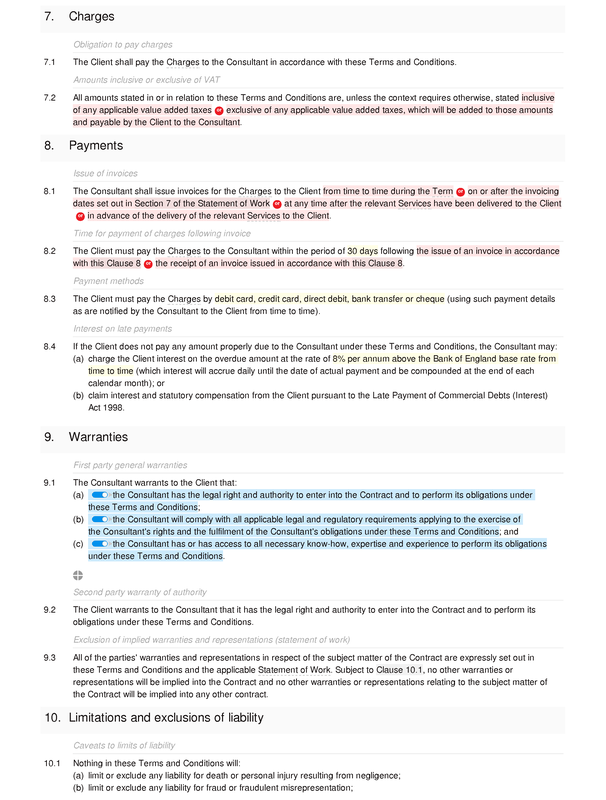 If you wish to use this document without the SEQ Legal credit, you can purchase a licence to do so; credit aside, the document is identical to the consultancy terms and conditions (basic) that we publish. Term: commencement of term; end of term: indefinite, or deliverables delivered, services completed and payment made; each contract distinct. 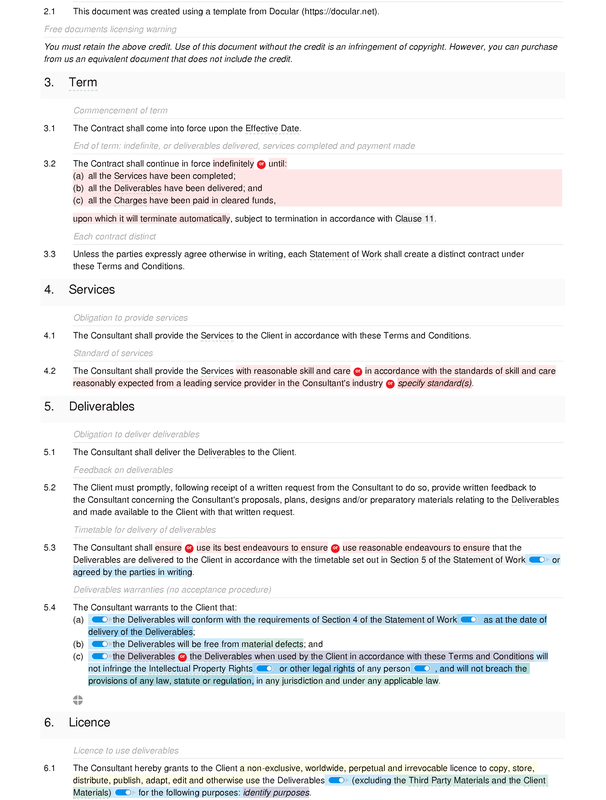 Services: obligation to provide services; standard of services. Licence: licence to use deliverables. 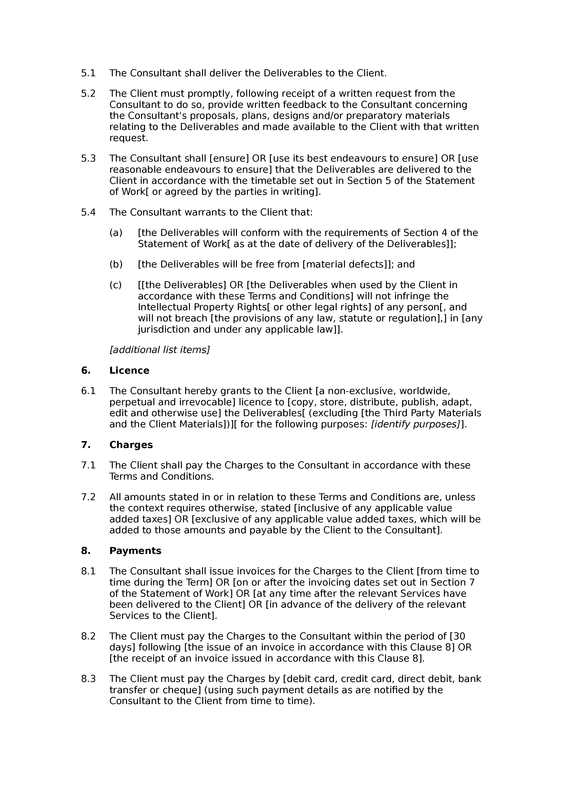 Charges: obligation to pay charges; amounts inclusive or exclusive of VAT. 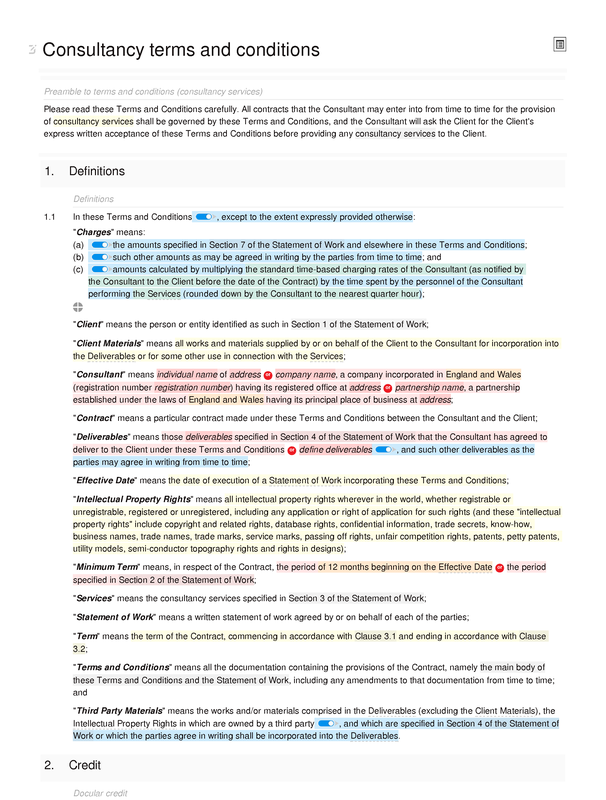 Warranties: first party general warranties; second party warranty of authority; exclusion of implied warranties and representations (statement of work).